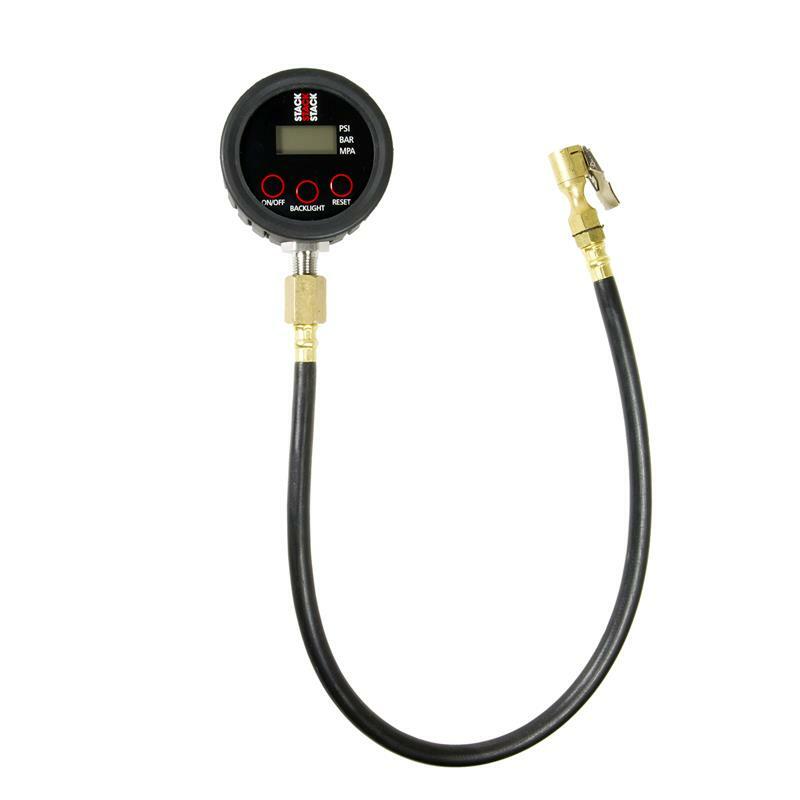 ST262163 - STACK Tire Pressure Gauge - Performance Auto Parts - Car and Truck Accessories | JM Auto Racing - Intensify Your Ride! 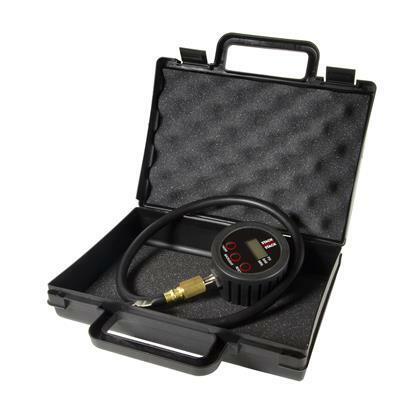 Minute changes in tyre pressures can have a pronounced effect on vehicle performance and lap times. 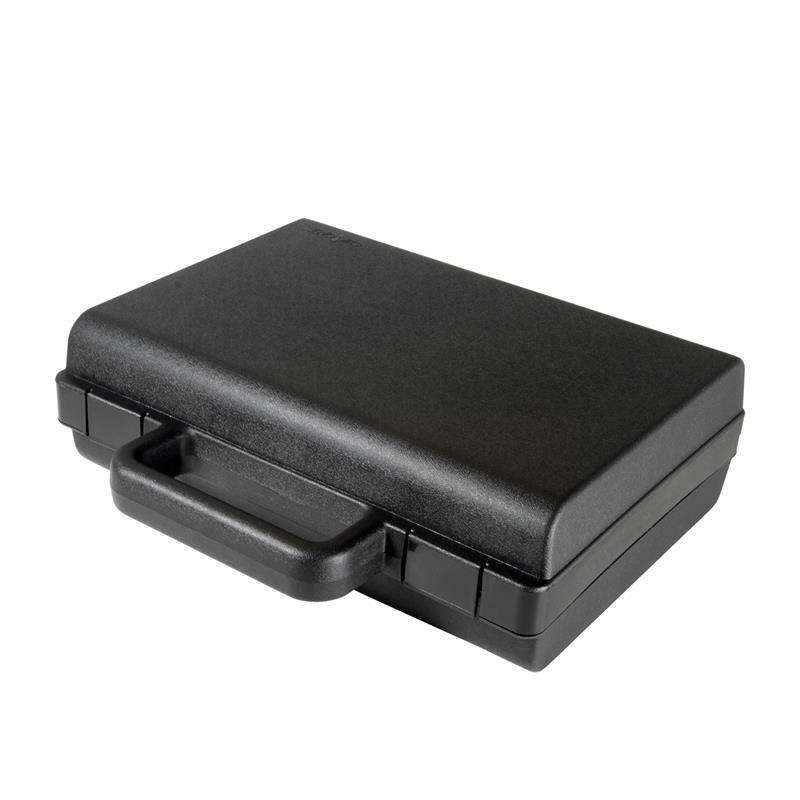 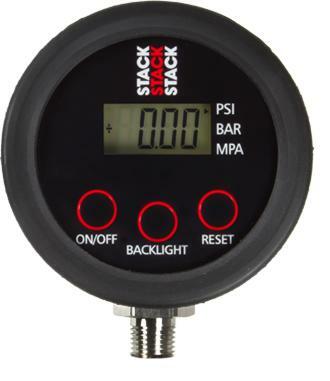 Stack’s experience working with teams at the very highest level of motorsport with our Professional Tyre Pressure and Temperature Monitoring systems have illustrated the need for correctly set tyre pressures requiring accurate and repeatable measurement results. 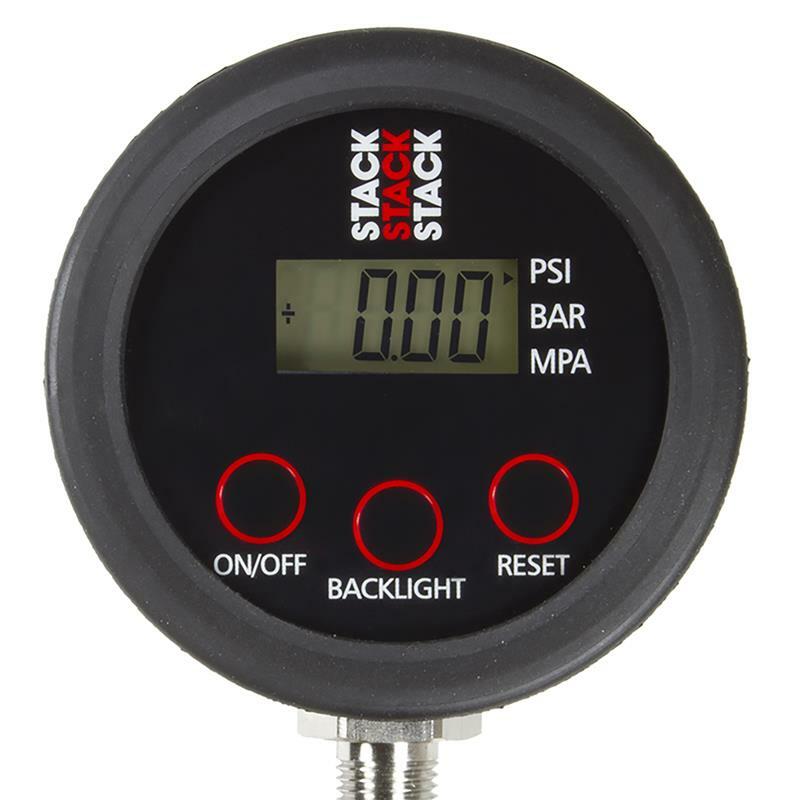 Designed with the motorsport technician and paddock use in mind, the Stack Professional Tyre Pressure Gauge delivers superior performance and durability utilising solid state electronics with signal conditioning circuitry for temperature and calibration compensation providing high precision readings (+/-0.25%) and unrivalled reliability.